Many people who are interested in a whiter smile make the mistake of investing in a cheap home whitening system from their local drug store. The low prices of these systems make them extremely attractive to people looking for a brighter smile for minimal cost. Unfortunately, these systems don't tend to be effective, and there are several reasons that you should avoid them altogether. The primary concern with a cheap home whitening system is the damage that they could do to your teeth. These kits are especially dangerous to the enamel because they require more applications in order to change the color of your teeth. This means the enamel will be exposed to the bleach for a greater period of time, potentially irritating or damaging your nerves over time. When it comes to whitening your teeth, you get what you pay for. 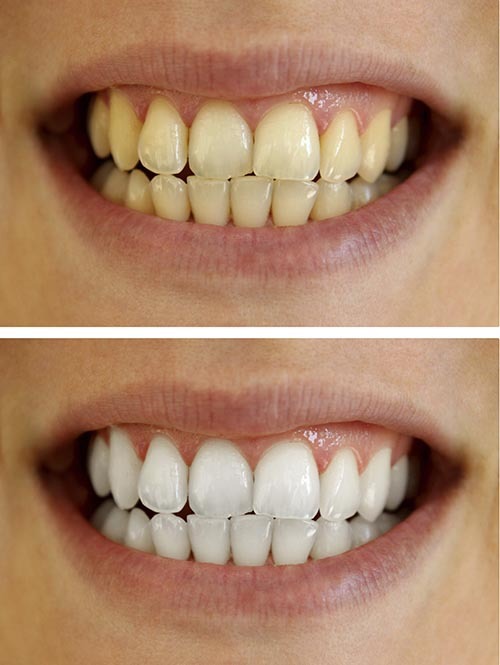 If you are spending a few bucks on a home whitening kit, you likely aren't going to have the same quality you would have enjoyed with a professional whitening system. Your teeth can look uneven and patchy, and you may have wished you had never even tried to whiten them. Cheap home whitening systems that utilize gel in a mouth guard will provide a standard tray that is supposed to work in everyone's mouth. Unfortunately, all of our teeth are different, so using a bleaching tray of a generic size can lead to bleach leaking out the sides. This could potentially cause your mouth, lips, and gums to blister. If you are looking for high-quality and long-lasting results when it comes to whitening your teeth, your best option is to consult with your dentist. Please contact us to set up an appointment to discuss your options.